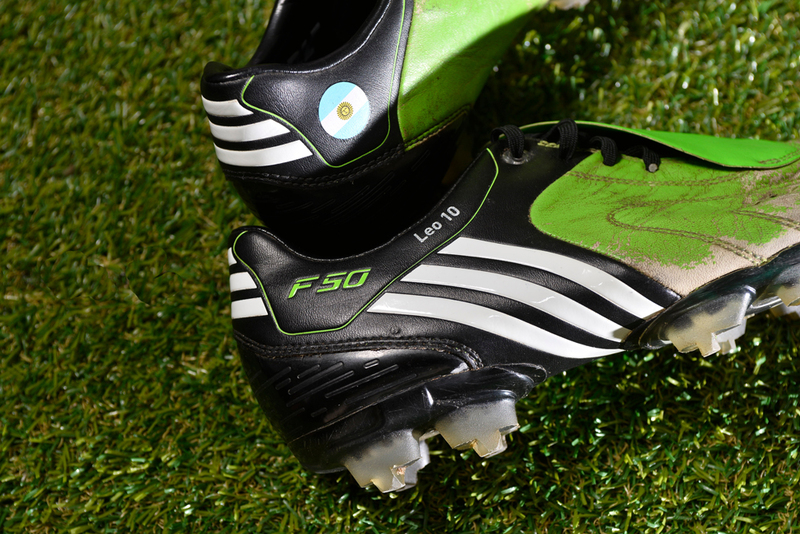 The Fifa World Cup “GERMANY 2006″was the first Leo’s World Cup. 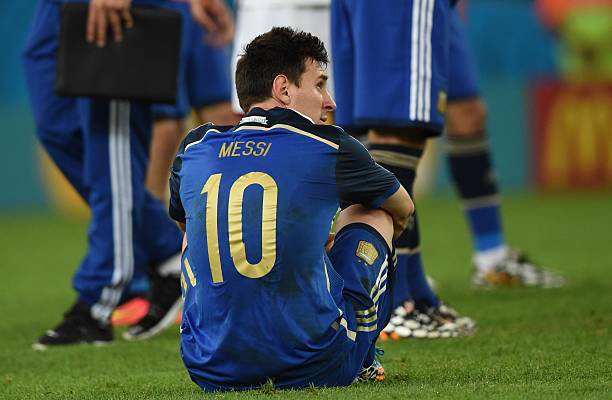 Messi witnessed the Argentina’s opening match victory against the Ivory Coast from the substitutes’ bench. 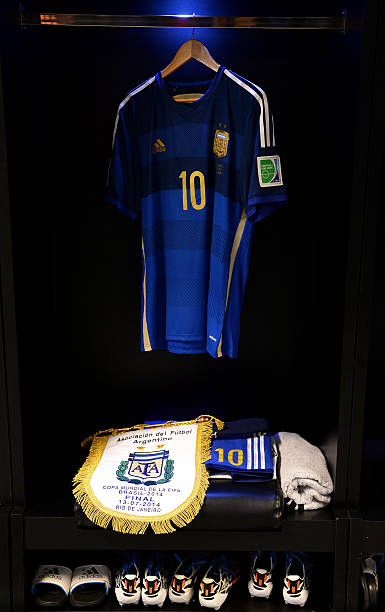 In the next match, against Serbia and Montenegro, he became the youngest player to represent Argentina at a FIFA World Cup when he came on as a substitute in the 74th minute. He assisted their fourth strike within minutes and scored the final goal in their 6–0 victory, making him the youngest scorer in the tournament and the sixth-youngest goalscorer in the history of the World Cup. As their progression to the knockout phase was secured, several starters were rested during the last group match. 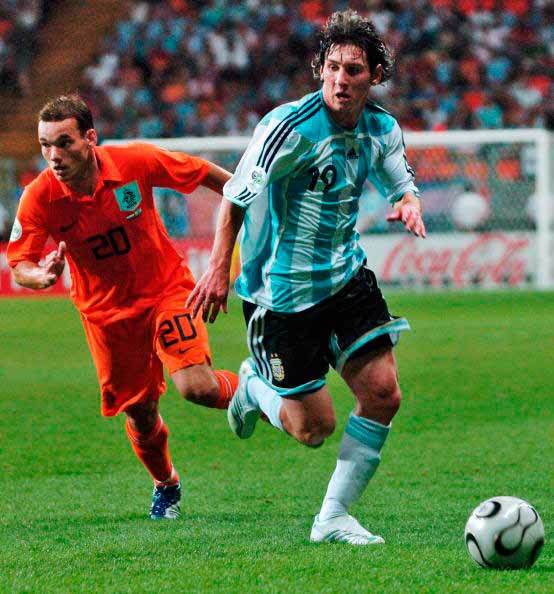 Messi consequently started the game against the Netherlands, a 0–0 draw, as they won their group on goal differential. 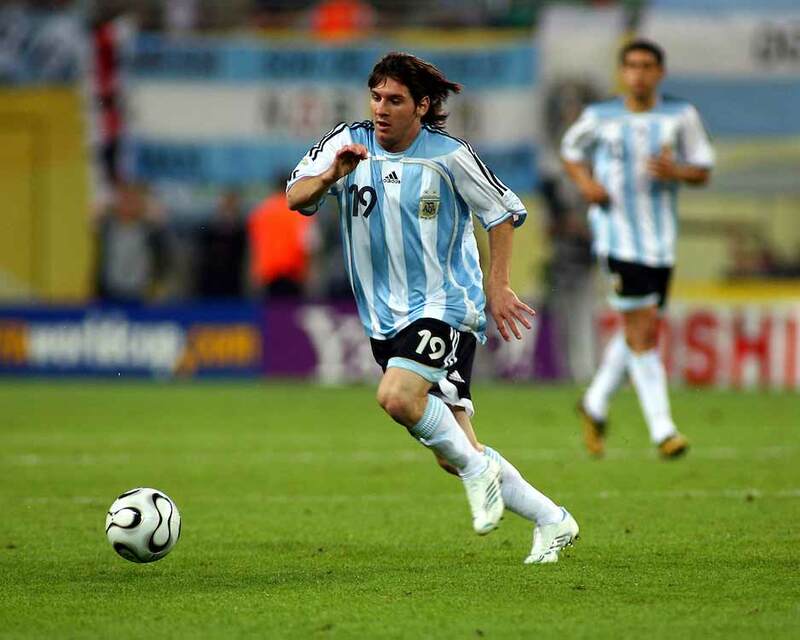 In the round of 16 match against Mexico, played on his 19th birthday, Messi came on in the 84th minute, with the score tied at 1–1. He appeared to score a goal, but it was contentiously ruled offside, with the team needing a late goal in extra time to proceed. He did not play in the quarter-final against Germany, during which Argentina were eliminated 4–2 in a penalty shootout. 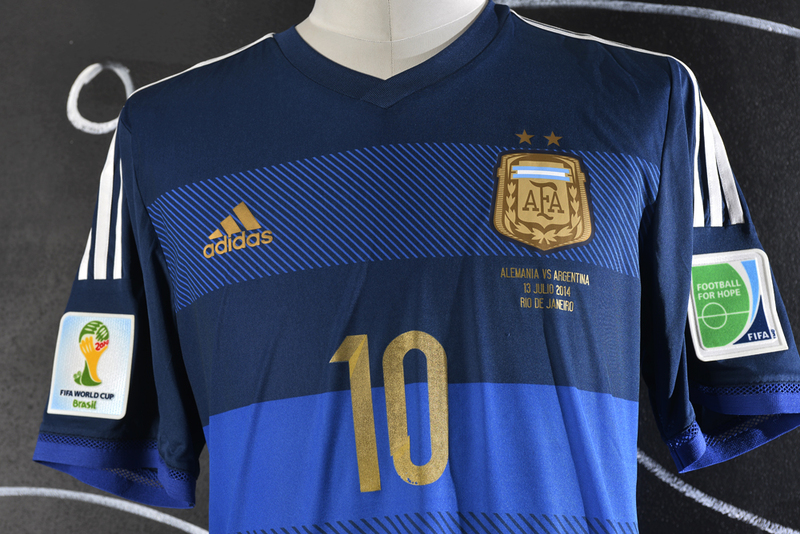 Back home, Pékerman’s decision to leave him on the bench against Germany led to widespread criticism from those who believed Messi could have changed the outcome of the match in Argentina’s favour. 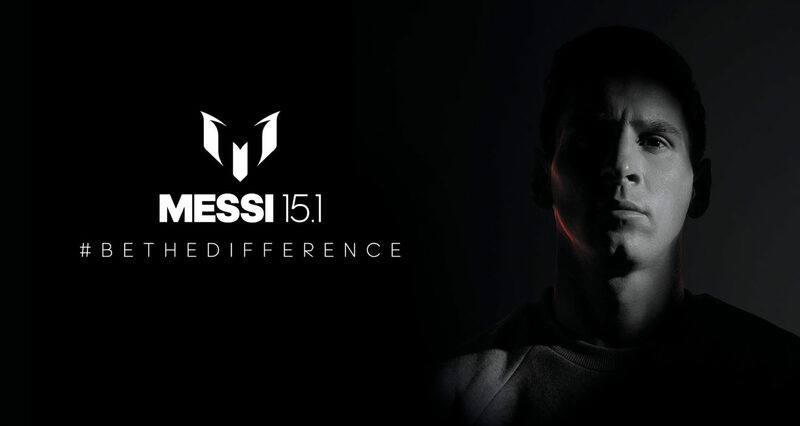 In addition to his salary and multimillion-euro bonuses, much of Messi’s income derives from endorsements; SportsPro has consequently cited him as one of the world’s most marketable athletes every year since their research began in 2010. 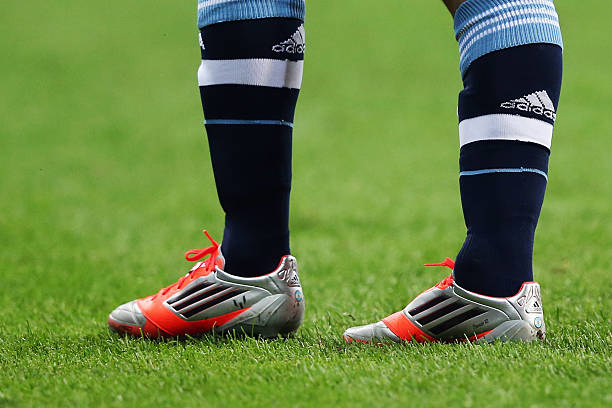 His main sponsor since 2006 is the sportswear company Adidas. 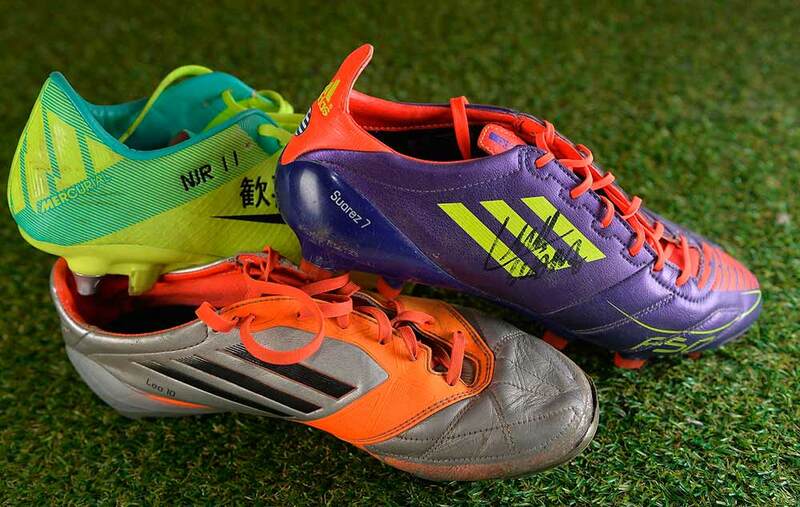 As Barça’s leading youth prospect, he had been signed with Nike since age 14, but transferred to Adidas after they successfully challenged their rival’s claim to his image rights in court. 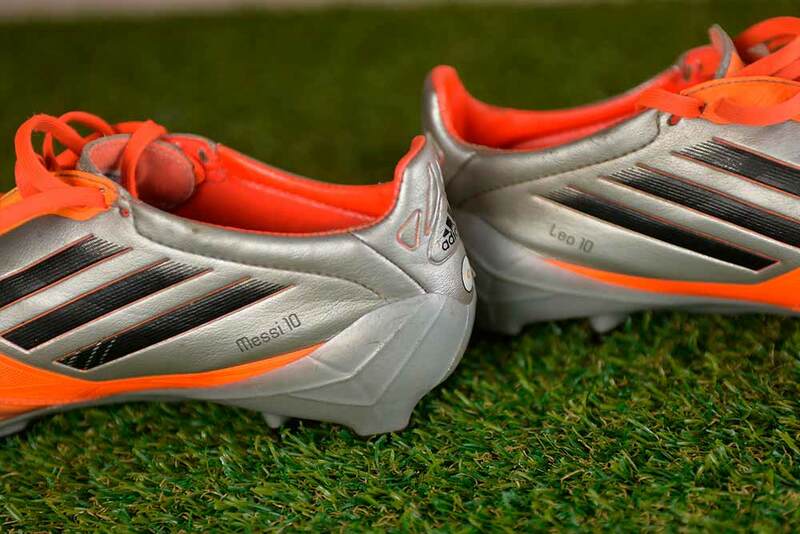 Over time, Messi established himself as their leading brand endorser; from 2008, he had a long-running signature collection of Adidas F50 boots, and in 2015, he became the first footballer to receive his own sub-brand of boots, the Adidas Messi. 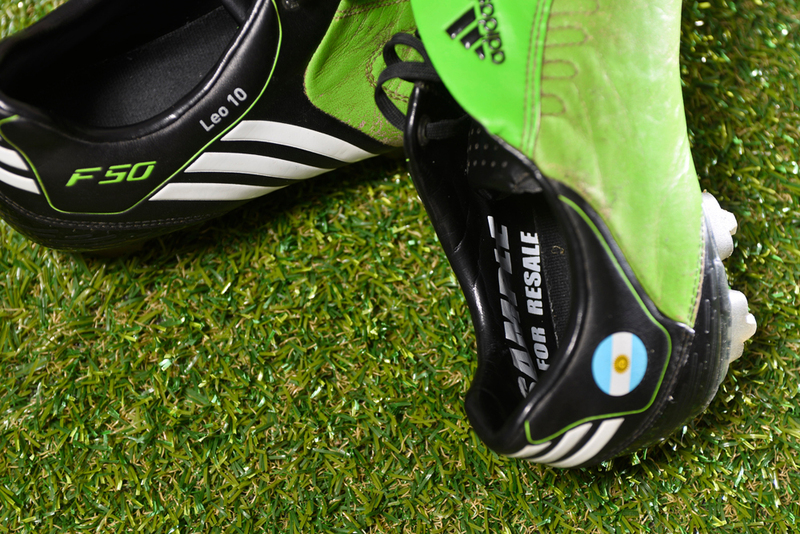 Lionel Messi plays with special custom made boots. Most of them have the “SAMPLE – NOT FOR RESALE” printed inside the boots and most of them are leather made even when regular models aren’t. 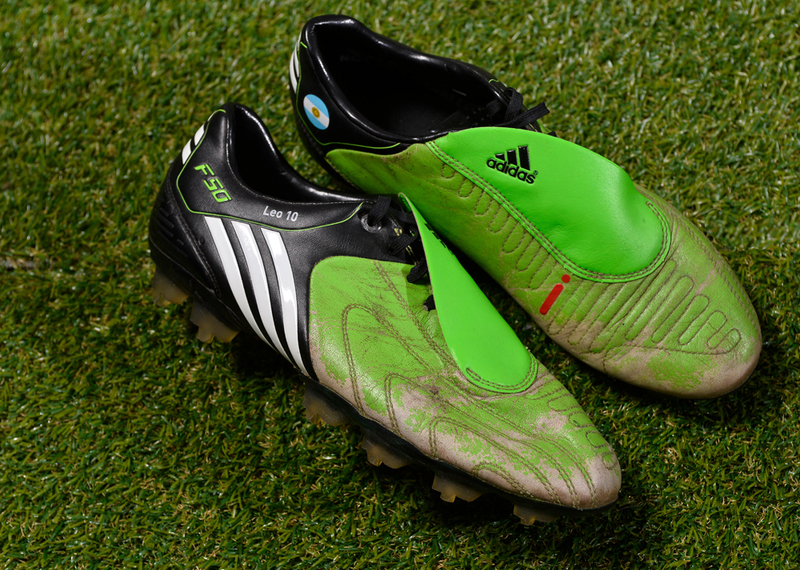 This model used by Messi for example is totally leather made instead the regular shop’s version was made of another material. 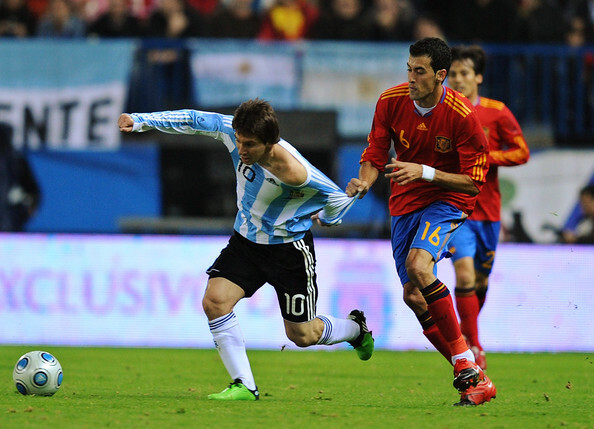 Due to his short stature, Messi has a lower centre of gravity than taller players, which gives him greater agility, allowing him to change direction more quickly and evade opposing tackles; this has led the Spanish media to dub him La Pulga Atómica (“The Atomic Flea”). Despite being physically unimposing, he possesses significant upper-body strength, which, combined with his low centre of gravity and resulting balance, aids him in withstanding physical challenges from opponents; he has consequently been noted for his lack of diving in a sport rife with playacting. His short, strong legs allow him to excel in short bursts of acceleration while his quick feet enable him to retain control of the ball when dribbling at speed. 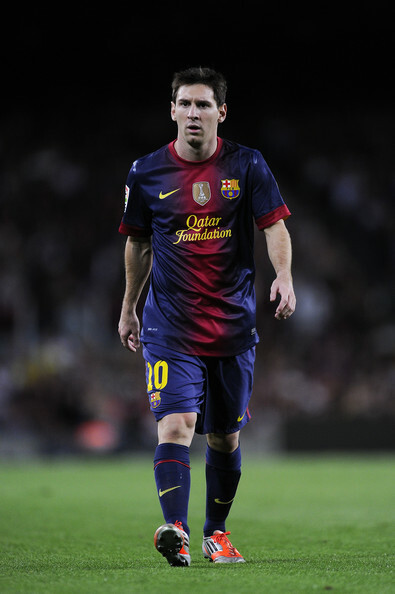 His former Barcelona manager Pep Guardiola once stated, “Messi is the only player that runs faster with the ball than he does without it.” Although he has improved his ability with his weaker foot since his mid-20s, Messi is predominantly a left-footed player; with the outside of his left foot, he usually begins dribbling runs, while he uses the inside of his foot to finish and provide passes and assists. 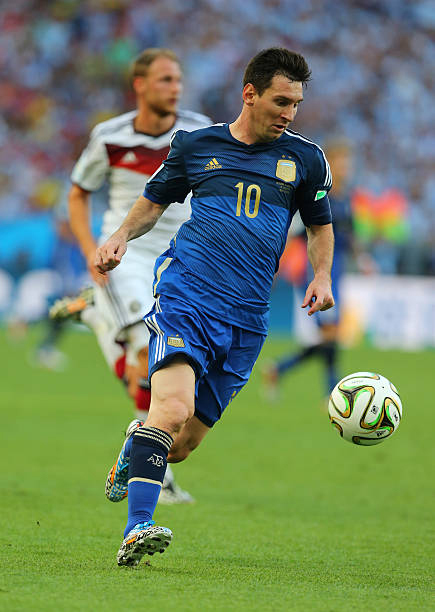 Messi prepares to shoot with his dominant left foot during the final of the 2014 FIFA World Cup. 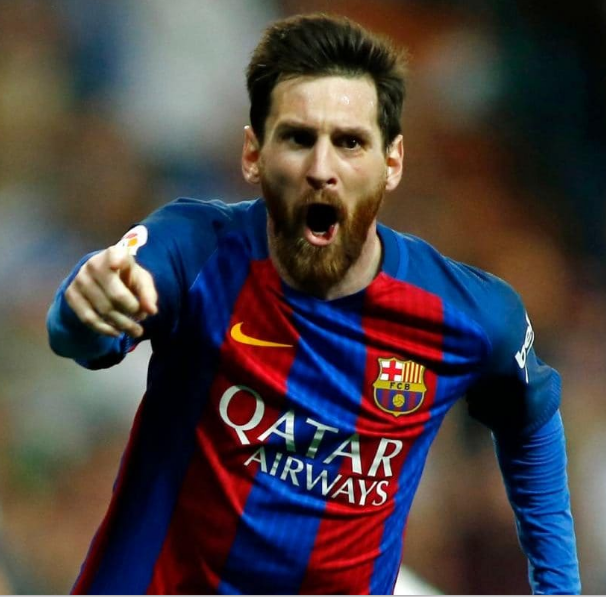 A prolific goalscorer, Messi is known for his finishing, positioning, quick reactions, and ability to make attacking runs to beat the defensive line. He also functions in a playmaking role, courtesy of his vision and precise passing, and is an accurate free kick and penalty kick taker, though his ability on penalties has somewhat deteriorated in recent seasons. His pace and technical ability enable him to undertake individual dribbling runs towards goal, in particular during counterattacks, usually starting from the halfway line or the right side of the pitch. 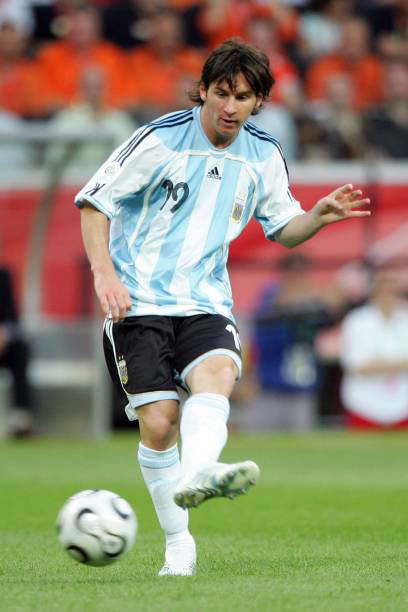 Widely considered to be the best dribbler in the world, and one of the greatest of all time, with regard to this ability, his former Argentina manager Diego Maradona has said of him, “The ball stays glued to his foot; I’ve seen great players in my career, but I’ve never seen anyone with Messi’s ball control.” Beyond his individual qualities, he is also a well-rounded, hard-working team player, known for his creative combinations, in particular with Barcelona midfielders Xavi and Andrés Iniesta. 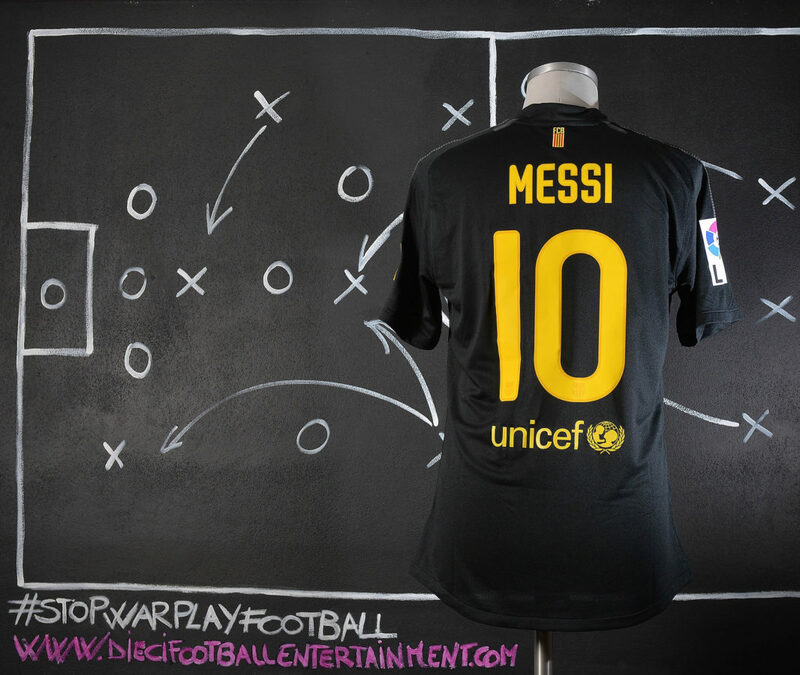 Tactically, Messi plays in a free attacking role; a versatile player, he is capable of attacking on either wing or through the centre of the pitch. 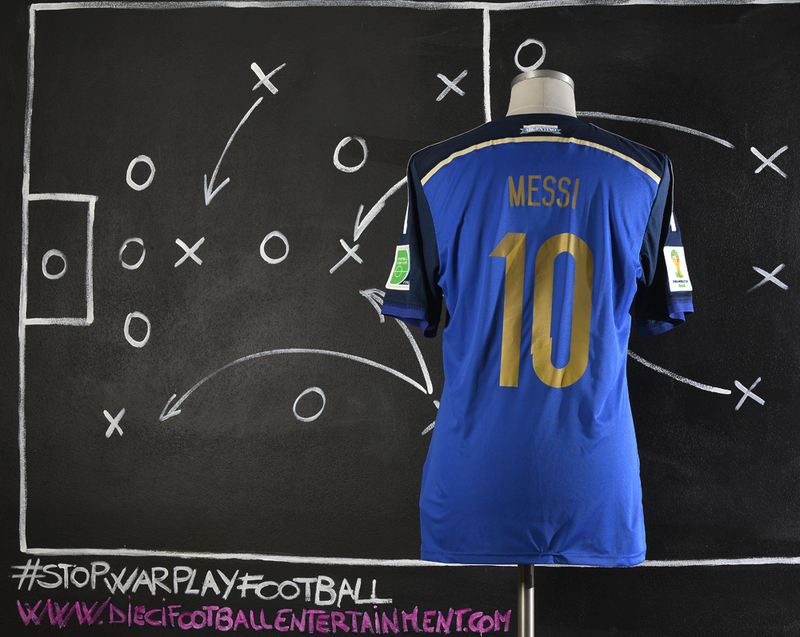 His favoured position in childhood was the playmaker behind two strikers, known as the enganche in Argentine football, but he began his career in Spain as a left-winger or left-sided forward. Upon his first-team debut, he was moved onto the right wing by manager Frank Rijkaard; from this position, he could more easily cut through the defence into the middle of the pitch and curl shots on goal with his left foot, rather than predominantly cross balls for teammates. Under Guardiola and subsequent managers, he most often played in a false nine role; positioned as a centre-forward or lone striker, he would roam the centre, often moving deep into midfield and drawing defenders with him, in order to create and exploit spaces for passes, dribbling runs or combinations with Xavi and Iniesta. 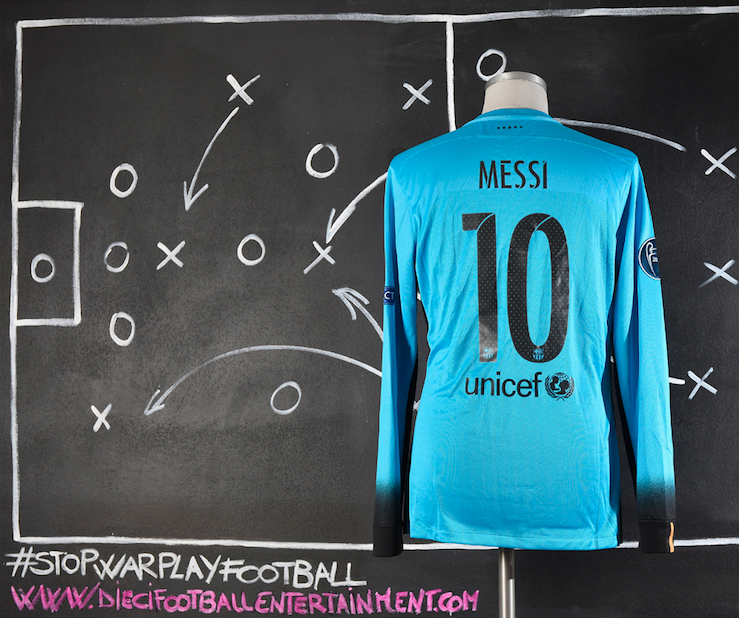 Under the stewardship of Luis Enrique, Messi returned to playing in the right-sided position that characterised much of his early career, while also being deployed in a deeper, free role. 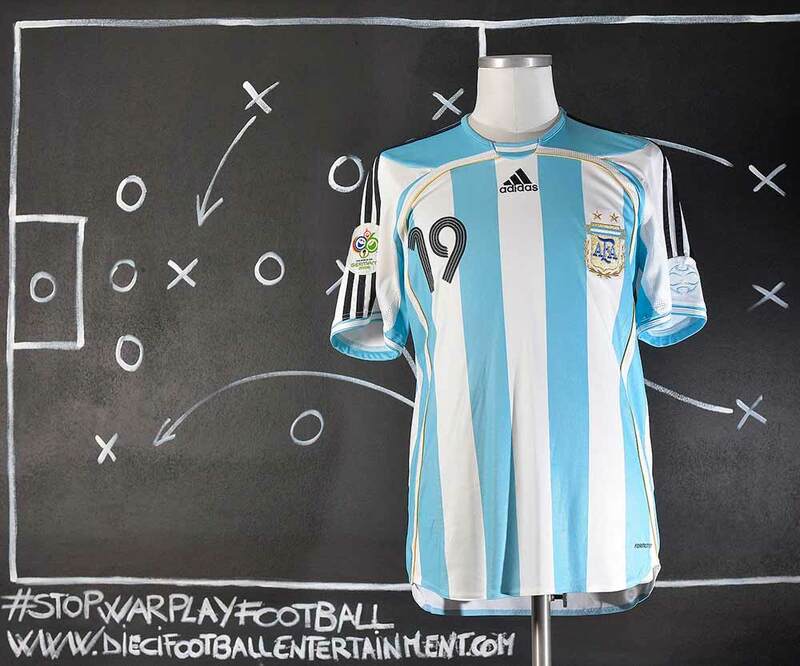 With the Argentina national team, Messi has similarly played anywhere along the frontline; under various managers, he has been employed on the right wing, as a false nine, or in a deeper, creative role as a classic number 10 or attacking midfielder. 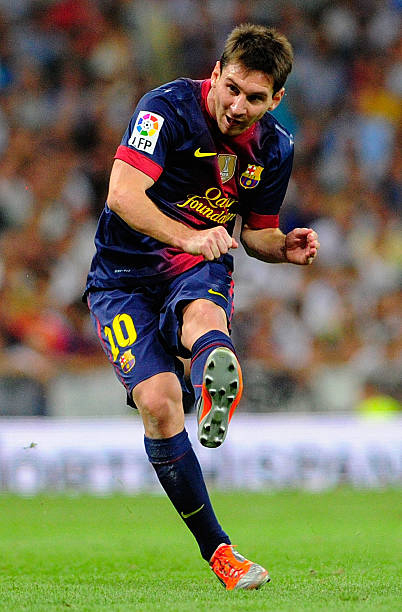 In the 2011-2012 season, as Messi maintained his goalscoring form into the second half of the season, the year 2012 saw him break several longstanding records. On 7 March, two weeks after scoring four goals in a league fixture against Valencia, he scored five times in a Champions League last 16-round match against Bayer Leverkusen, an unprecedented achievement in the history of the competition. In addition to being the joint top assist provider with five assists, this feat made him top scorer with 14 goals, tying José Altafini’s record from the 1962–63 season, as well as becoming only the second player after Gerd Müller to be top scorer in four campaigns. 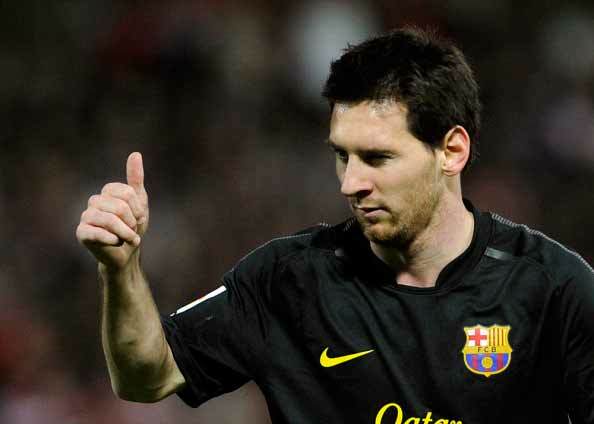 Two weeks later, on 20 March, Messi became the top goalscorer in Barcelona’s history at 24 years old, overtaking the 57-year record of César Rodríguez’s 232 goals with a hat-trick against Granada. 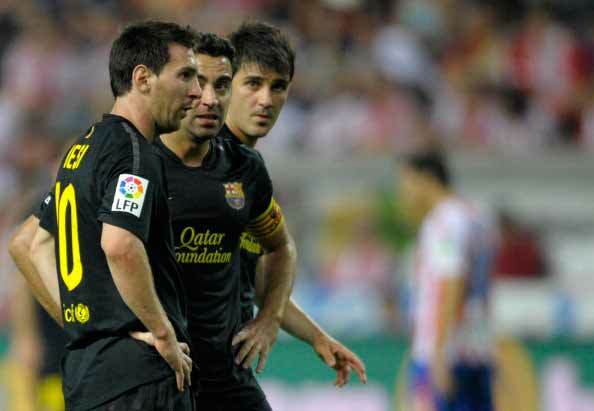 In the season 2012-2013 a double scored on 9 December against Real Betis saw Messi break two longstanding records: he surpassed César Rodríguez’s record of 190 league goals, becoming Barcelona’s all-time top scorer in La Liga, and Gerd Müller’s record of most goals scored in a calendar year, overtaking his 85 goals scored in 1972 for Bayern Munich and Germany. 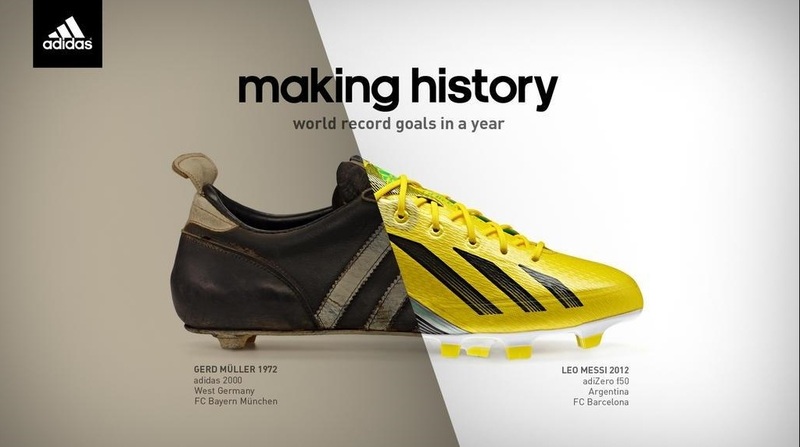 Messi sent Müller a number 10 Barcelona shirt, signed “with respect and admiration”, after breaking his 40-year record. 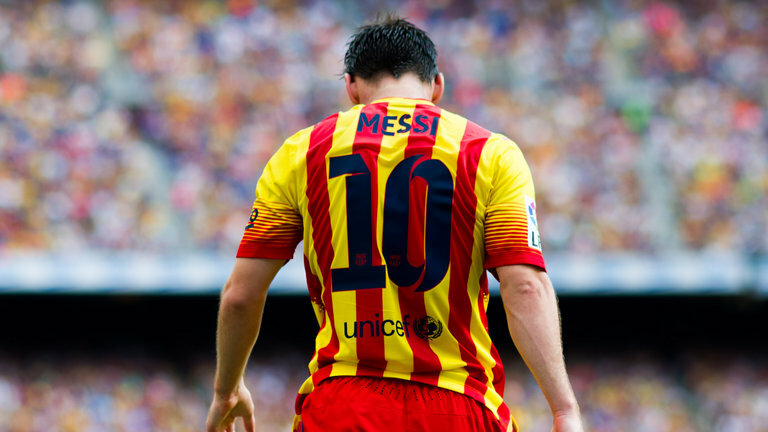 At the close of the year, Messi had scored a record 91 goals in all competitions for Barcelona and Argentina. 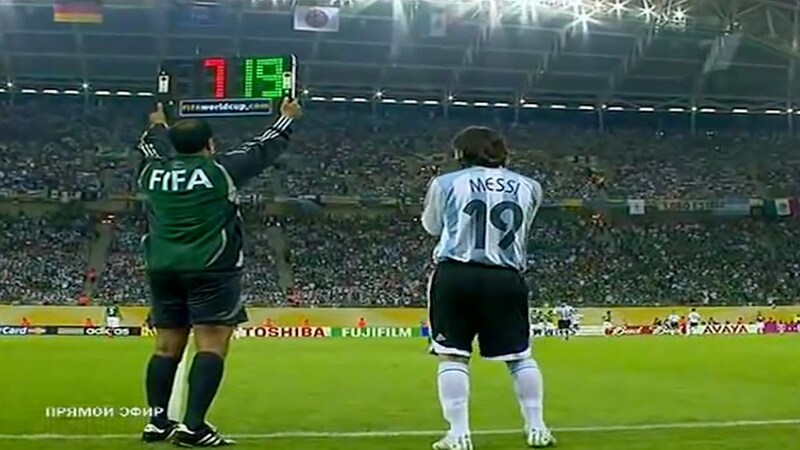 Although FIFA did not acknowledge the achievement, citing verifiability issues, he received the Guinness World Records title for most goals scored in a calendar year. 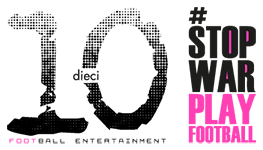 The 2014 FIFA World Cup Final was a football match that took place on 13 July 2014 at the Maracanã Stadium in Rio de Janeiro, Brazil to determine the 2014 FIFA World Cup champion. 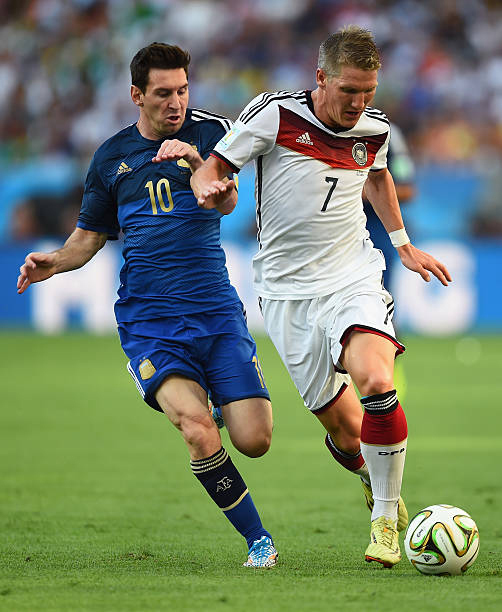 Germany defeated Argentina 1–0 in extra time, with the only goal being scored by Mario Götze, who collected André Schürrle’s cross from the left on his chest before volleying a high left-footed shot into the net. 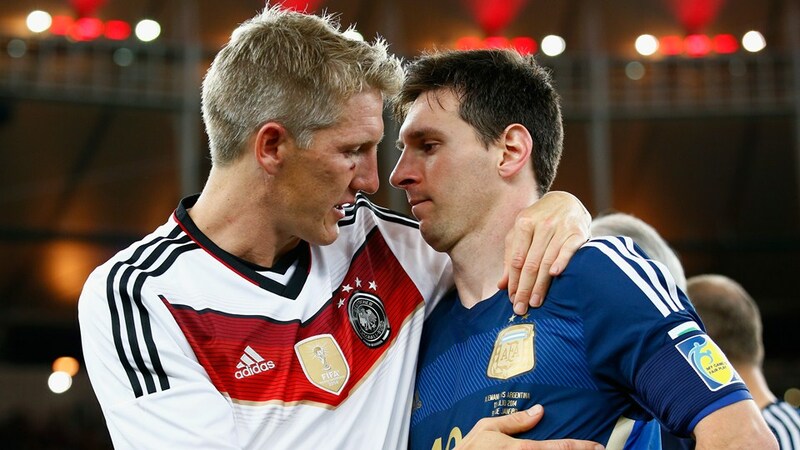 The match was the third final between the two countries, a World Cup record, after their 1986 and 1990 matches, and billed as the world’s best player (Lionel Messi) versus the world’s best team (Germany). Before the match, Germany had reached the World Cup final seven times (six times as West Germany from 1954 to 1990), winning three (1954, 1974, 1990) and being runners-up four times (1966, 1982, 1986, 2002); Argentina had reached four finals, winning twice (1978, 1986) and placing second twice (1930, 1990). The result marked Germany’s fourth World Cup title and their first World championship as a unified nation. The victory meant that three consecutive World Cups have been won by teams from the same continent, following Italy and Spain in 2006 and 2010 respectively, the first time this has happened in World Cup history. 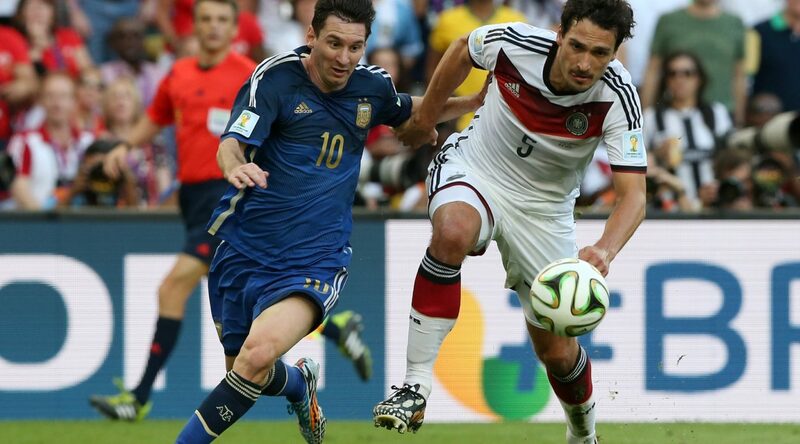 It was also the first time that three consecutive World Cup finals were still tied after 90 minutes. The final marked the first time a World Cup in the Americas was not won by a team from the Americas. In the winning German team, Miroslav Klose, who had become the top scorer in World Cup history in the semi-final victory over Brazil, became one of the very few players ever to have won gold, silver and bronze medals in the World Cup (bronze in 2006 and 2010, silver in 2002 and gold in 2014), joining a club with such players as Franz Beckenbauer, Sepp Maier and Wolfgang Overath (1966–1974). 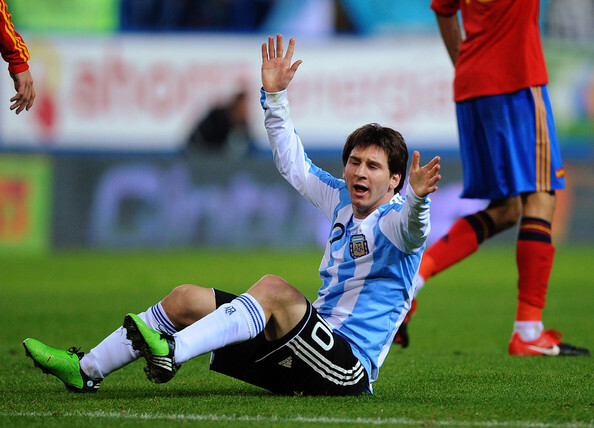 Ahead of the World Cup in Brazil, doubts persisted over Messi’s form, as he finished an unsuccessful and injury-plagued season with Barcelona. At the start of the tournament, however, he gave strong performances, being elected man of the match in their first four matches. In his first World Cup match as captain, he led them to a 2–1 victory over Bosnia and Herzegovina; he helped create their early opening goal and scored their second strike after a dribble past three players, his first World Cup goal since his debut in the tournament eight years earlier. During the second match against Iran, he scored an injury-time goal from 23 metres out to end the game in a 1–0 win, securing their qualification for the knockout phase. He scored twice in the last group match, a 3–2 victory over Nigeria, his second goal from a free kick, as they finished first in their group. 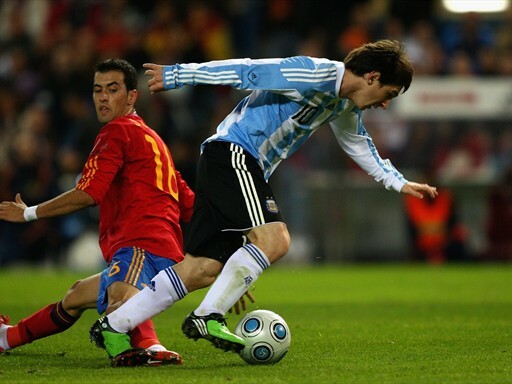 Messi assisted a late goal in extra time to ensure a 1–0 win against Switzerland in the round of 16, before starting the play that led to their match-winning 1–0 goal in the quarter-final against Belgium, helping Argentina progress to the semi-final of the World Cup for the first time since 1990. 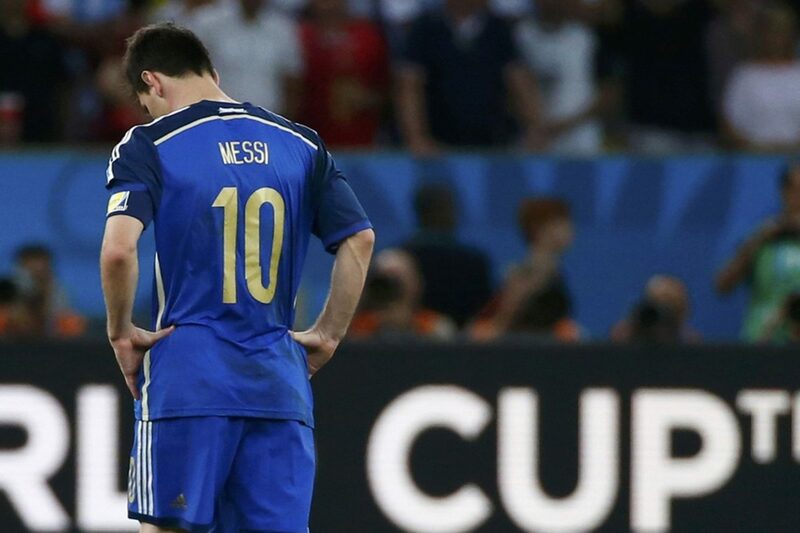 Following a 0–0 draw in extra time, they eliminated the Netherlands 4–2 in a penalty shootout to reach the final. 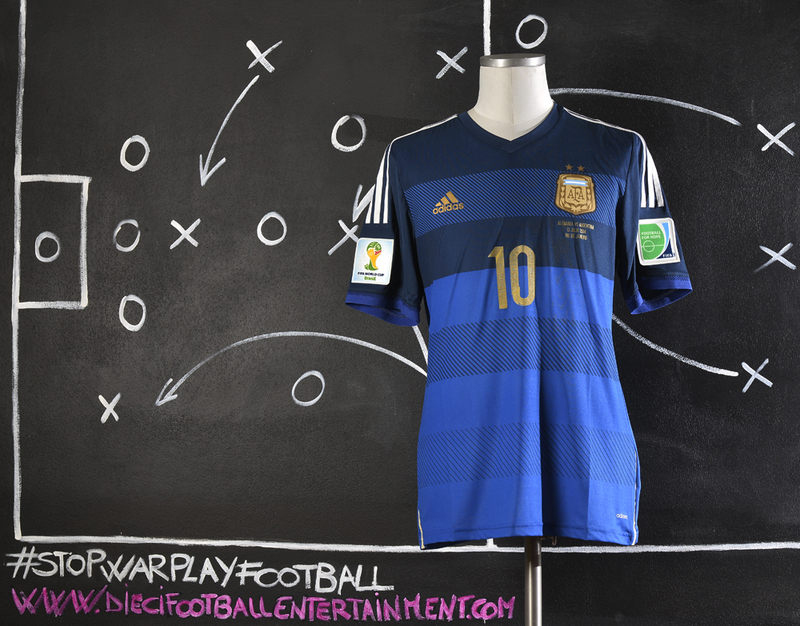 Billed as Messi versus Germany, the world’s best player against the best team, the final was a repeat of the 1990 final featuring Diego Maradona. 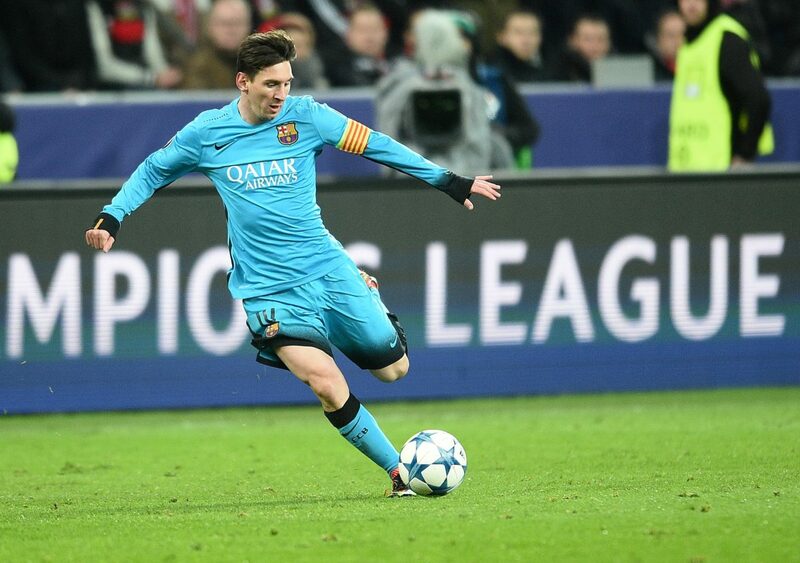 Within the first half-hour, Messi had started the play that led to a goal, but it was ruled offside. He missed several opportunities to open the scoring throughout the match, in particular at the start of the second half when his breakaway effort went wide of the far post. Substitute Mario Götze finally scored in the 113th minute, followed in the last minute of extra time by a free kick that Messi sent over the net, as Germany won the match 1–0 to claim the World Cup. 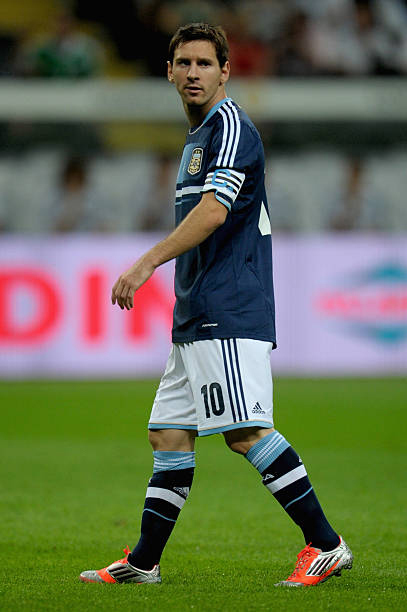 At the conclusion of the final, Messi was awarded the Golden Ball as the best player of the tournament. In addition to being the joint third-highest goalscorer, with four goals and an assist, he created the most chances, completed the most dribbling runs, made the most deliveries into the penalty area and produced the most throughballs in the competition. 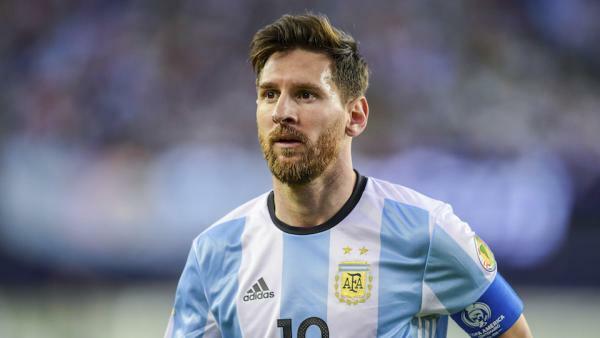 However, his selection drew criticism due to his lack of goals in the knockout round; FIFA President Sepp Blatter expressed his surprise, while Maradona suggested that Messi had undeservedly been chosen for marketing purposes. 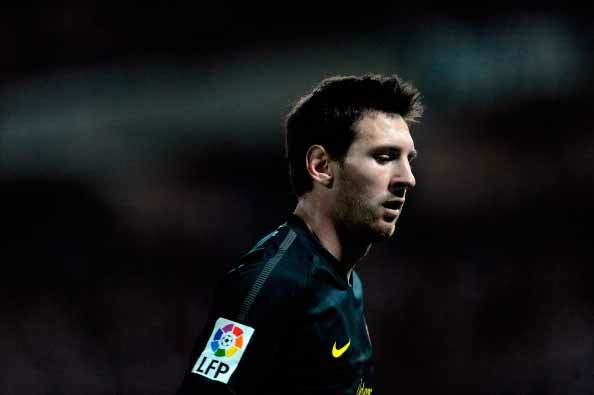 At the start of 2015, Barcelona were perceived to be headed for another disappointing end to the season, with renewed speculation in the media that Messi was leaving the club. 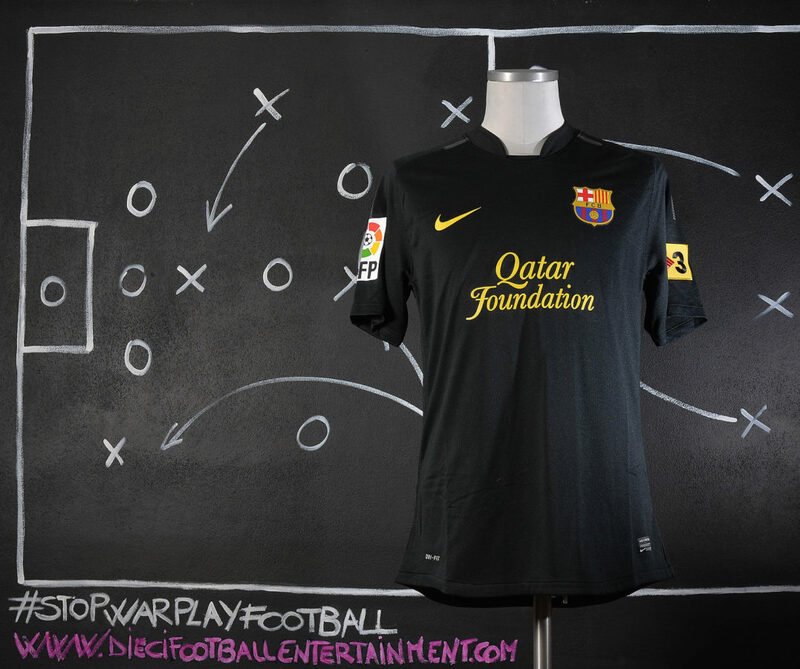 A turning point came on 11 January during a 3–1 victory over Atlético Madrid, the first time Barça’s attacking trident of Messi, Luis Suárez and Neymar, dubbed “MSN”, each scored in a match, marking the beginning of a highly successful run. 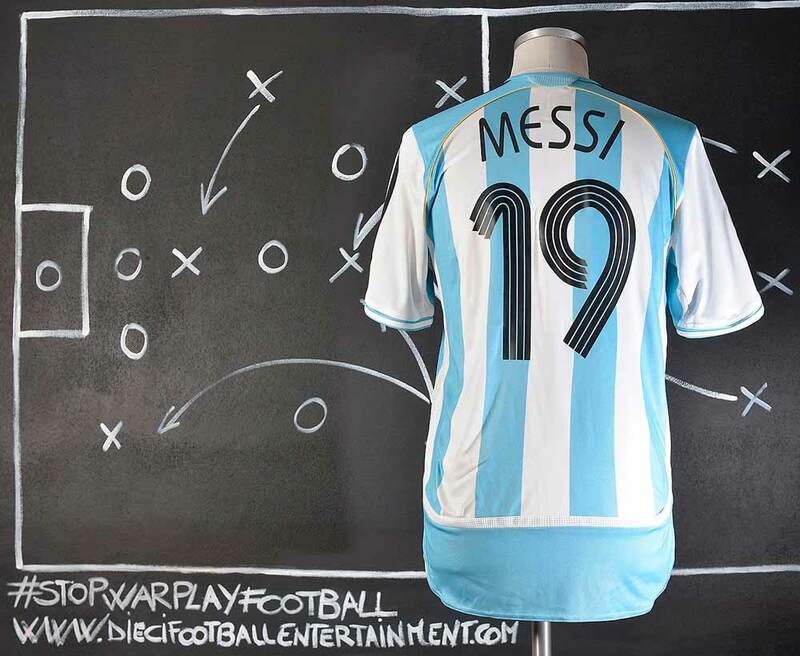 After five years of playing in the centre of the pitch, Messi had returned to his old position on the right wing late the previous year, by his own suggestion according to Suárez, their striker. From there, he regained his best – arguably his best-ever – form, while Suárez and Neymar ended the team’s attacking dependency on their star player. 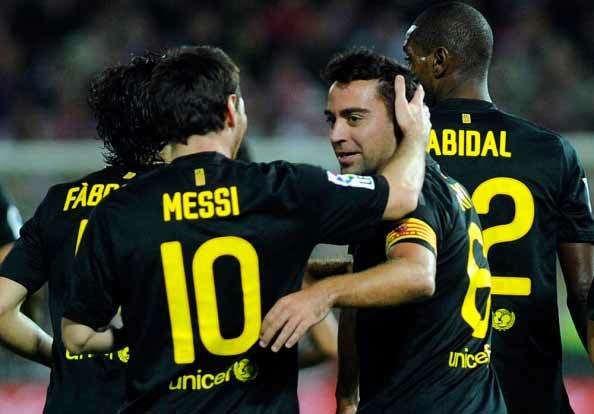 With 58 goals from Messi, the trio scored a total of 122 goals in all competitions that season, a record in Spanish football. 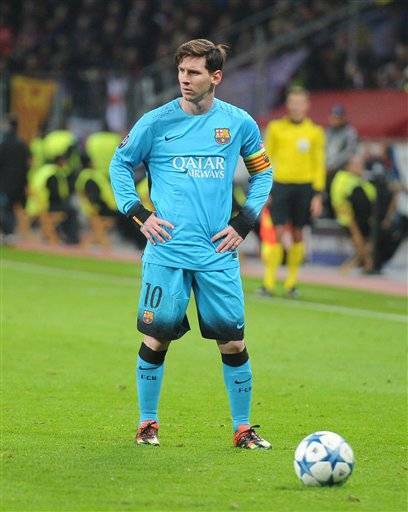 On 16 September, Messi became the youngest player to make 100 appearances in the UEFA Champions League in a 1–1 away draw to Roma. 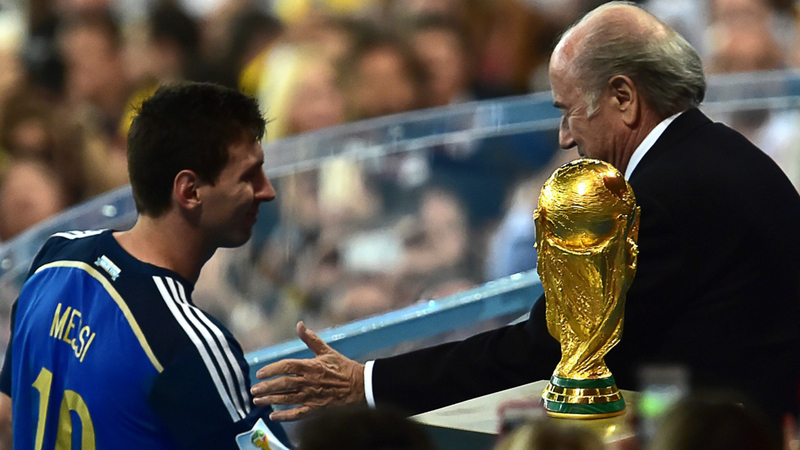 Messi capped off the year by winning the 2015 FIFA Club World Cup Final on 20 December, collecting his fifth club trophy of 2015 as Barcelona went on to defeat River Plate 3–0 in Yokohama. 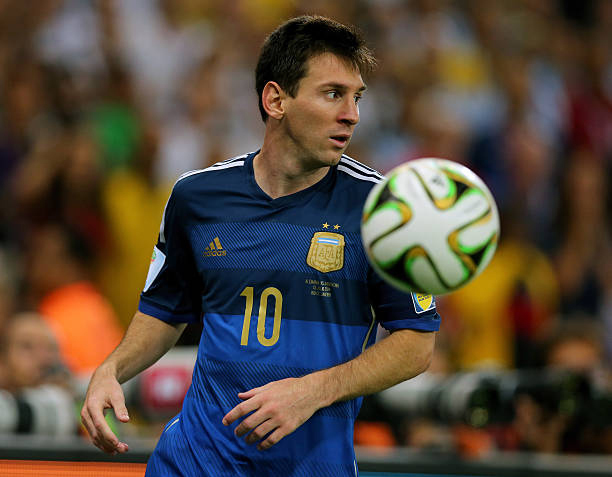 Messi also won the tournament’s Silver Ball, despite missing the semi-final. On December 30th 2015, Messi scored on his 500th appearance for Barcelona, in a 4–0 home win over Real Betis. 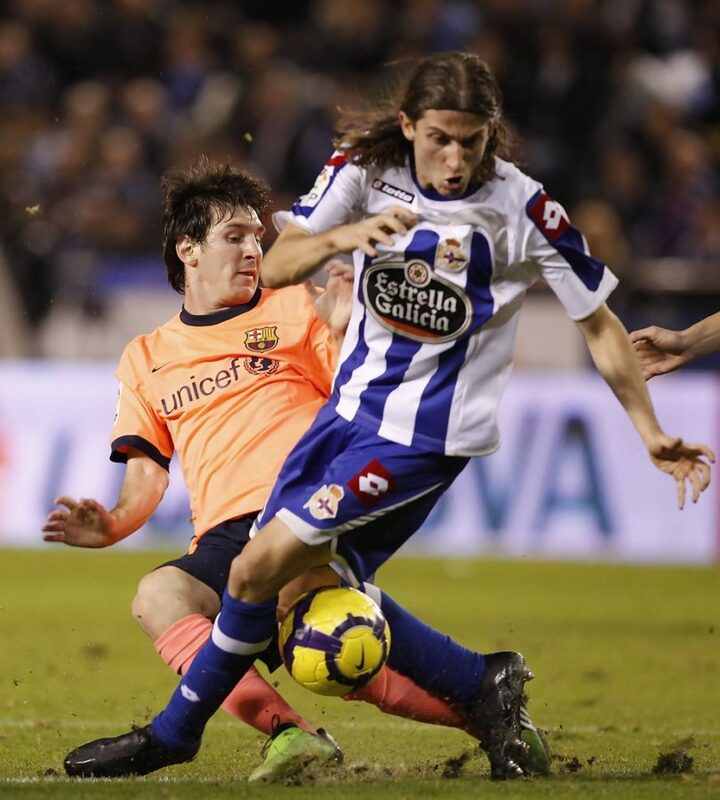 On 6 January 2016, recording Barcelona’s first goal of the new year, Messi scored two goals and assisted the other two in a 4–1 derby win over Espanyol at the Camp Nou, in the first leg of the round of 16 of the 2015–16 Copa del Rey. 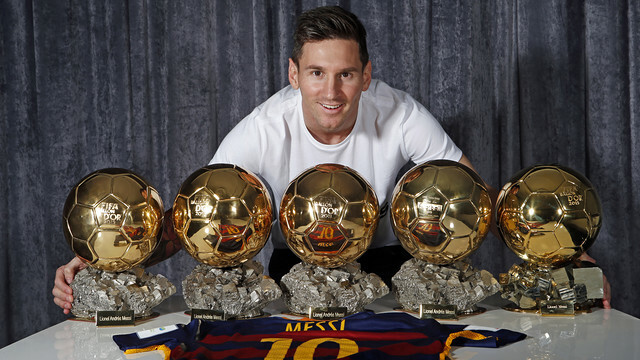 Five days later, Messi won the FIFA Ballon d’Or for a record fifth time in his career. 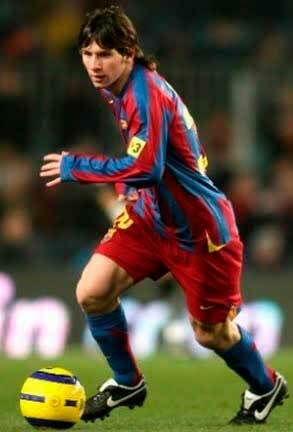 On 3 February, he scored a hat-trick in Barcelona’s 7–0 win against Valenciain the first leg of the Copa del Rey semi-final at the Camp Nou, also scoring his 500th career goal in the process, including youth competitions. With teammate Luis Suárez scoring the other four goals in the same match, this was the first time that two players had scored at least three goals each at Camp Nou, and the first time since Luis Suárez Miramontes and Justo Tejada in 1956. 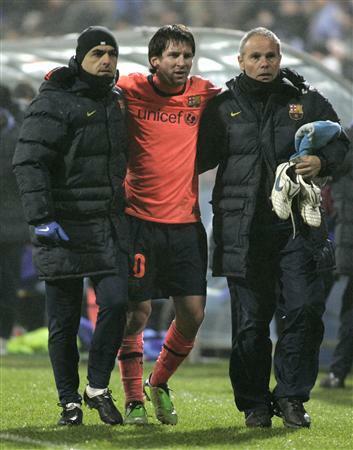 The feat had only occurred three times before in the club’s history, all at Camp de Les Corts.On 17 February, Messi reached his 300th league goal in a 1–3 away win against Sporting de Gijón. A few days later, he scored both goals in Barcelona’s 0–2 win against Arsenal at the Emirates Stadium, in the first leg of the 2015–16 UEFA Champions League round of 16, with the second goal being Barcelona’s 10,000th in official competitions. 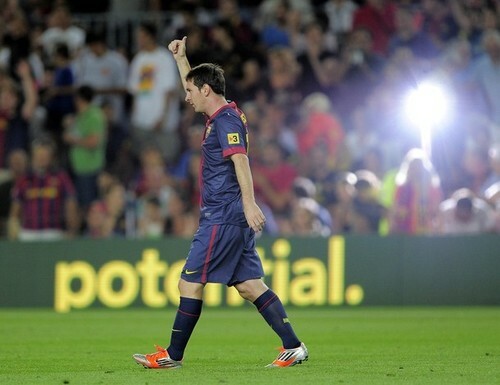 On 17 April, Messi ended a five-match scoring drought with his 500th senior career goal for club and country in Barcelona’s 2–1 home loss to Valencia. 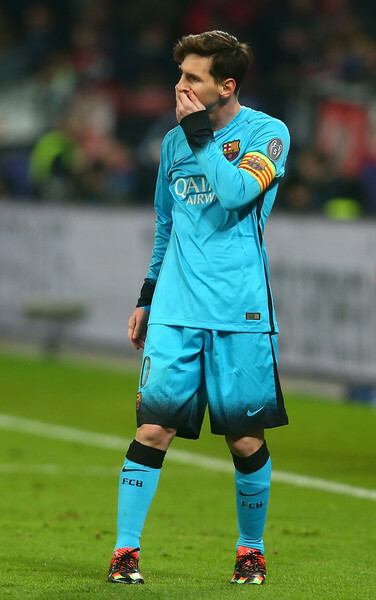 Messi finished the 2015–16 season by setting up both goals in Barcelona’s 2–0 extra time win over Sevilla in the 2016 Copa del Rey Final, at the Vicente Calderón Stadium, on 22 May 2016, as the club celebrated winning the domestic double for the second consecutive season.In total, Messi scored 41 goals and provided 23 assists, as Barcelona’s attacking trio managed a Spanish record of 131 goals throughout the season, breaking the record they had set the previous season. On February 14th 2016 at Camp Nou, during the 6–1 win against Celta de Vigo, Messi assisted Suárez from a penalty kick. 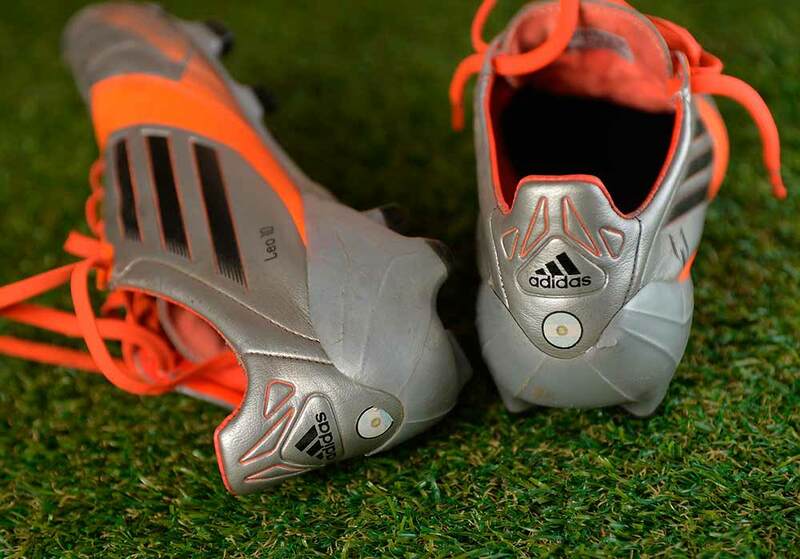 Some people saw it as “a touch of genius”, while others criticised it as being disrespectful to the opponent. The Celta players, however, never complained and their coach defended the penalty, stating, “Barca’s forwards are very respectful.” The penalty routine has been compared to that of Barça icon Johan Cruyff in 1982, who was battling lung cancer, leading many fans to indicate that the penalty was a tribute to him. 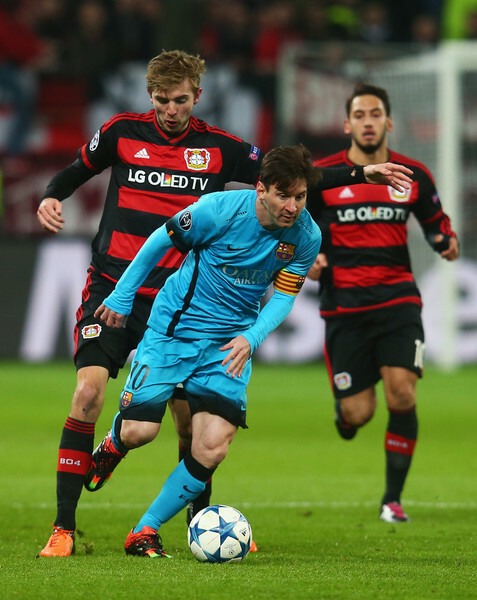 Cruyff himself was “very happy” with the play, insisting “it was legal and entertaining”. 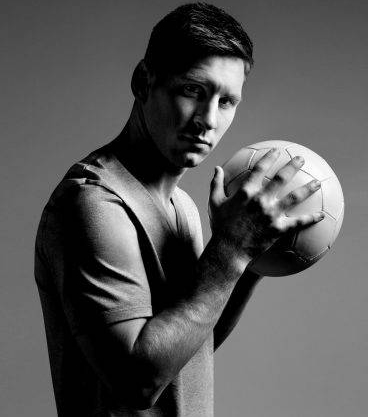 Often considered the best player in the world and regarded by many as the greatest of all time, Messi was the first player in history to win five FIFA Ballon d’Or awards, four of which he won consecutively. 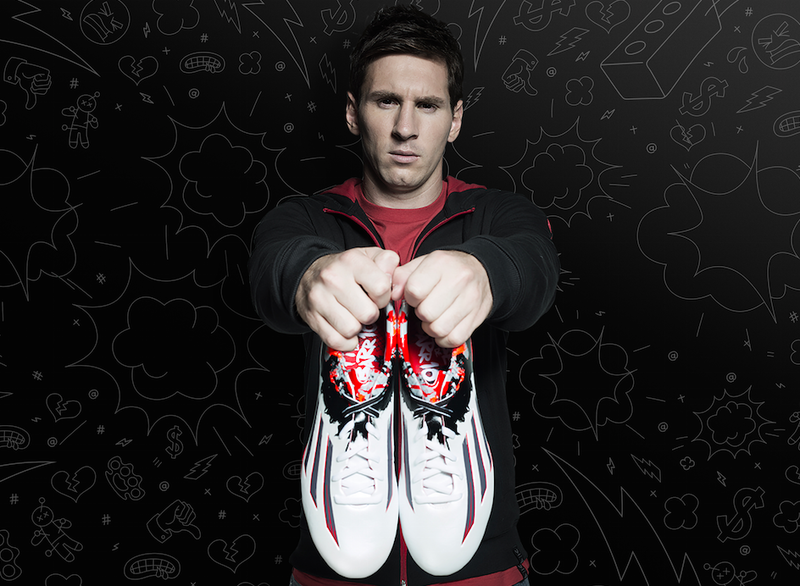 At the end of the season 2017/2018 Messi won the European Golden Shoe keeping his record of 5 European Golden Shoes won in his career after the 2009/2010, 2011/2012, 2012/2013 and 2016/2017 editions.